It all began when a 'Public Meeting' was held at Miss Rathbone's residence on Tuesday 3rd April 1934. Eight people attended. Local farmer, Cecil Litten, offered 45 acres for development of a 9 hole course where the Shelly Park Primary School and reserve are now situated. Subscriptions = 7/6 Ladies, 10/- Men. 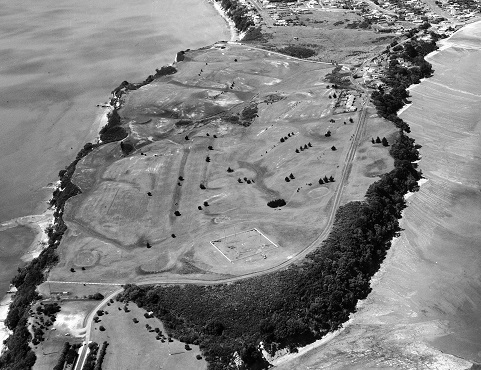 After being in recess during the WWII years, the club leased 100 acres from local farmers Archie Somerville and Robbie Nichols to develop an 18 hole course near Litten Road where Howick College is now situated. Extensive work and frequent working bees prepared the new course for 'Opening Day' 12 April 1947. Membership of the Howick Golf Club flourished over the next 6 years but crippling lease costs forced the Club to look elsewhere for a more permanent location. 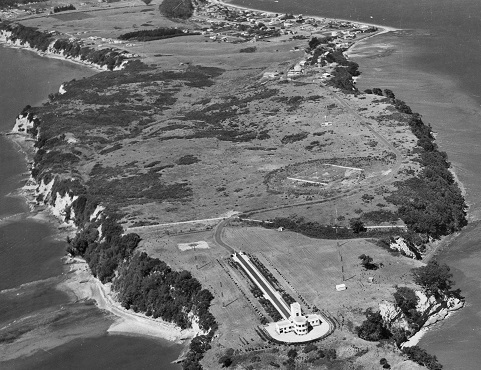 Musick Point Air Radio Station was identified as having 98 acres of vacant scrubland that was suitable to develop into an 18 hole course and negotiations lead to a lease being signed with the Crown for an annual rental of 120 pounds per annum. Work on the new course proceeded through 1953 and 1954 with extensive earthworks and thousands of hours of voluntary labour clearing the gorse and scrub and planting grass seed and trees. 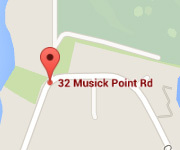 The first game at Musick Point was 30th October 1954, being 15 holes, officially ending the current season and marking the transition from the Litten Road course. What vision they all had! These pictures show the change on the peninsular as the course is developed. First picture taken in 1946 shows scrub and gorse filled wilderness. 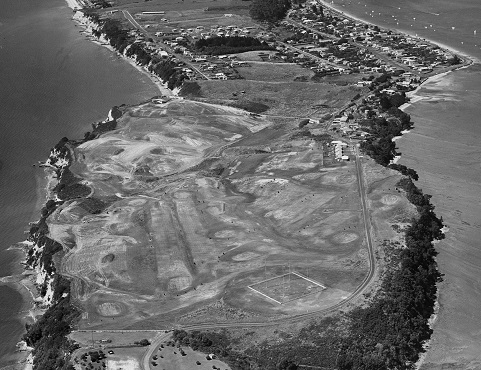 The second picture, 1959, shows the cleared land and course development. The third picture shows some growth of the trees and the final picture as the course is today. 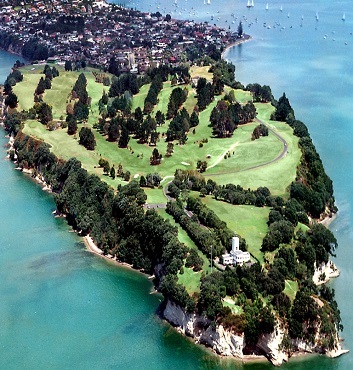 A remarkable transformation from wasteland to one of the most scenic golf courses in Auckland.